If you haven’t heard about Kickstarter, you need to check it out! Kickstarter is a website created to help fund creative projects. Project creators, ranging from musicians to designers, launch projects such as books, art and music. If you like a project, you can pledge any amount of money to help a creator reach their goal. This is an amazing opportunity to help a business or artist in your community. For my next good deed, I pledged money to help a local business. The project I chose supports a new store scheduled to open in my community later this year. The store is Made; By the People, For the People. I love the concept of this business! It is a modern day general store that strives to promote and celebrate American good through the sale of American goods. They are attempting to spread the word by creating their own private label t-shirt line made right here in America. Did you know that less than 2% of clothing is manufactured in the United States? I find that number appalling. 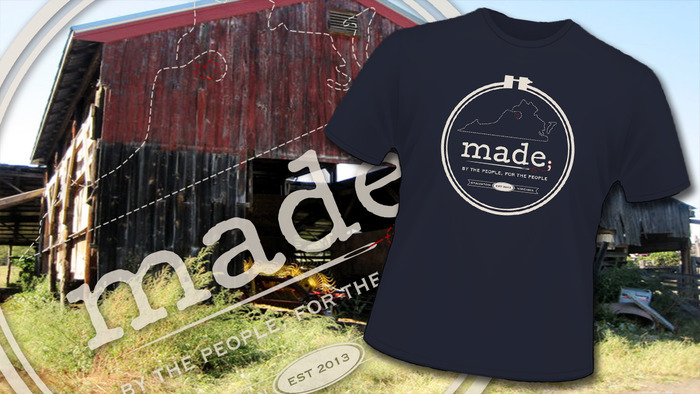 Made; is trying to change that by selling clothing and other goods made by local artisans and manufacturers in the US. When you buy Made in America, you support the local economy, reduce your carbon footprint and acknowledge the hard work of the people that live in this wonderful country. I personally try very hard to purchase food and goods made in the USA. And I will proudly wear the Made; t-shirt! Made; is very close to their Kickstarter goal but they still need help. If they do not reach their goal, they don’t get anything. So act now to support Made; or a business in your community.